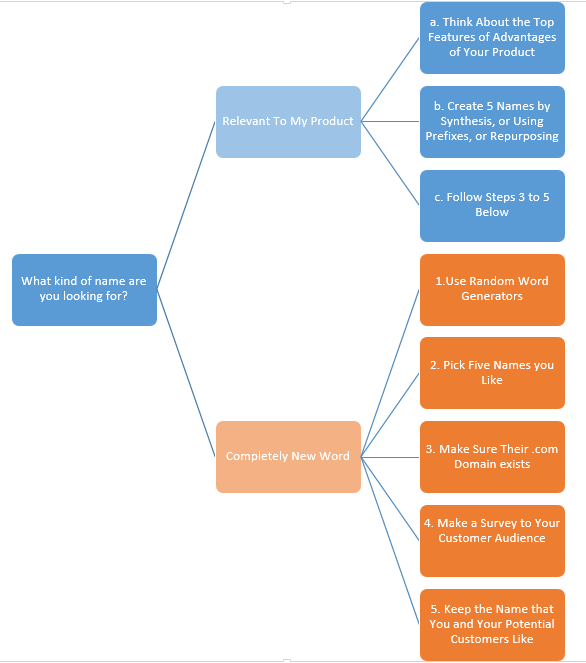 Finding how to name your startup is one of the first problems you will need to solve. While some argue that you should leave the struggling to find a name for a later stage and focus at first to just build your product, it is still a nice investment of time to spend some days figuring out the name of your product or startup. This will help you to design and brand your website/mobile app etc and make a better impression to potential investors. – Have a look here for a daily database of expired domain names. – Make sure your name is easy to spell: Avoid using words that can be misspelled (e.g. if you want to have the domain www.theyarerich.com a lot of people would spell it as www.theirrich.com or www.theyrrich.com etc). Find a list of the 100 most often misspelled English words here. – Make sure the name is easy to write: Don’t put words such as “entrepreneurship” in the domain name…I’m still getting it wrong even if I’ve corrected myself 1000 times. If you are rushing to get your website out, based on the new name you found but you don’t have the time/money to go into logo design yet, go to www.fiverr.com, give 5USD and get a quick logo as a temp one, until you get the real thing later on. Feel free to contribute with more insight! Want to get Fotis' new posts through email? Is it possible to startup if I already work as an employee? What is a fair share of equity that each startup member should get? How to Build Your First Website, in 15 minutes. No coding required. I have a startup idea! Should I tell it to others?